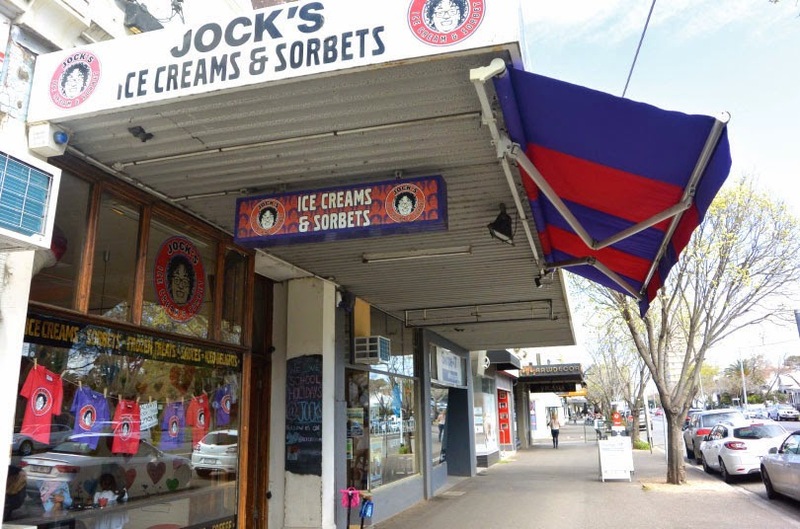 Whether it's Coconut and Lime which tickles your fancy, or their infamous gooey Hockey Pockey (vanilla swirled with honeycomb and toffee), Jock's Ice Creamery has enough flavours to hit the spot. 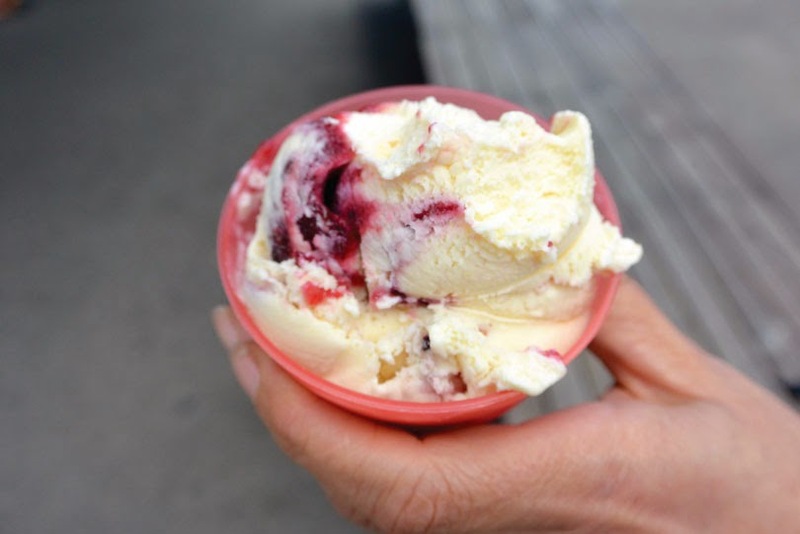 This Albert Park Gem is home to some of the most delicious ice-cream flavours in town, with enough Americana concoctions to rival Ben & Jerry's. 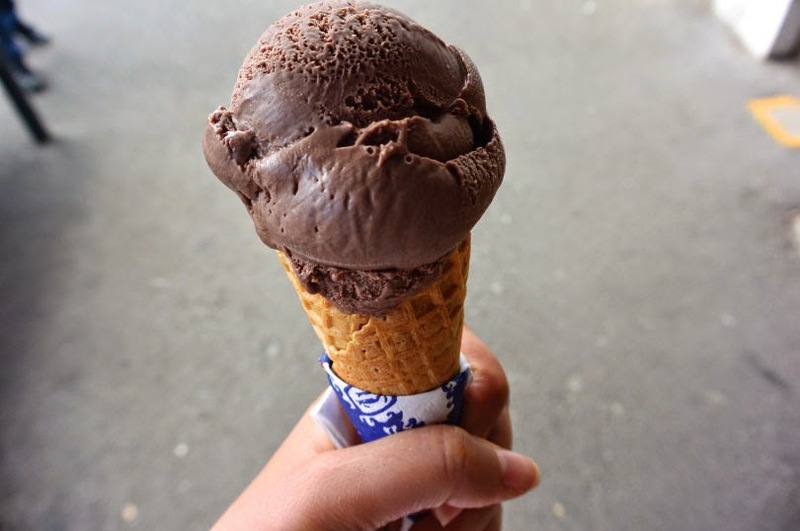 Crowd favourites include award winning Chocolate (pictured above), which has a really smooth moosey taste. Whilst I opted for this delicious flavour my friend went for the Obamarama which was a yummy fusion of peanut butter and jelly (pictured below). You will also be hard pressed to find anything that measures up to their Gingerbread or Cinnamon flavours, which are ideally consumed around Christmas time for the full seasonal experience. And rejoice, for they also sell takeaway containers! 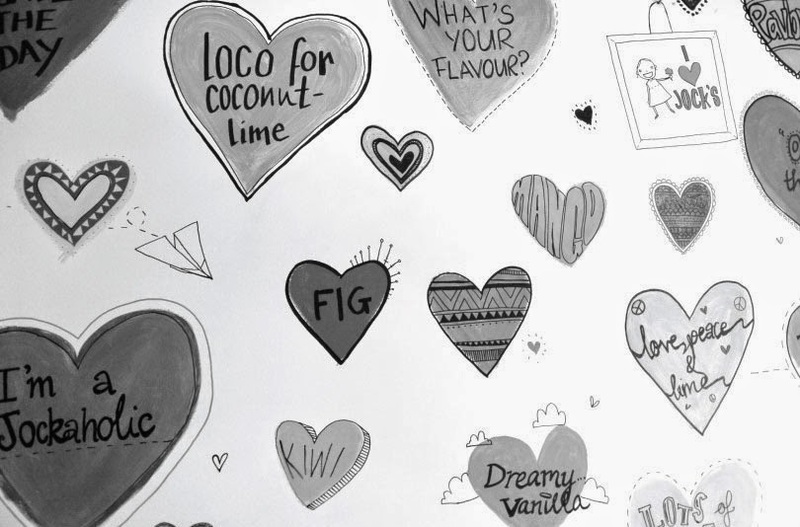 Which is great news for me seeing as I'd admit to ice cream making up 80% of my diet. Taking full advantage of the sunny spring day that Melbourne was having I whipped out my newly purchased black pom pom sandals by The Workshop Shoes (handmade in Greece), which I purchased when in Santorini last month. Love a little pom pom action.